Technology in the classroom can serve as a tool to enhance the learning experience for all students, and as a learning opportunity on how to appropriately and responsibly use it in our day to day lives, since technology will be a vital part of their future. Campus iPad rollouts and BYOD implementation in schools is everywhere, but this can cause some challenges for your IT staff. Think about it, your school, campus, or school districts’ IT staff is now faced with the dilemma of deploying, supporting, securing, and managing hundreds or maybe even thousands of various mobile devices. No wonder your IT staff has been walking around with wrinkled foreheads and pinched eyebrows. The good news you can give your IT staff a break bring in the big guns to do the tough stuff, MDM (mobile device management). Now I’m sure you’ve heard about it before, because this exciting technology is well on its way to becoming a key element in schools IT operations. Just in case you haven’t heard about it though, it’s basically a tool with the intent of keeping your schools wireless network protected and efficient, safeguard your students, and manage and secure all these mobile devices your students and staff are toting to class. #1) It secures access to school resources, including Email, VPN and Wi-Fi networks. #2) MDM provides the dissemination of internal and third-party apps securely. #4) It allows you to monitor compliance with school policies and industry regulations, like CIPA (Children's Internet Protection Act) . #5) It’s compatible with all conventional handheld device operating platforms and applications allowing you to easily manage all the devices in one console. #6) MDM can add or remove devices from the system as necessary to ensure optimum network productivity and security. #7) It allows you to manage faculty, staff and student mobile devices uniquely based on mobile device ownership. #8) It allows you to track detailed information about the mobile devices, including real-time GPS location. This is an extremely useful feature if the device is lost or taken. #9) MDM lets you easily configure consistent policies, settings and restrictions across virtually any device. #10) MDM allows you to remotely “wipe” or turn off certain apps or features on mobile devices. It really is vital to have a mobile device solution for your campus or school when bringing mobile devices to your school wireless network. Too often IT doesn’t know how to manage the new technology in a way that promotes an innovative and supportive learning environment while staying true to the schools’ IT and security policies. If you’re bringing mobile devices into the classroom your IT needs MDM to control provisioning, access, security, integrity, and every other IT element that keeps your students and school secure and safe. 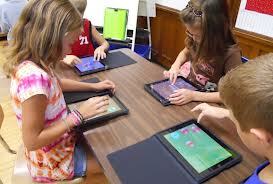 At SecurEdge we provide design, deployment, and support of BYOD and mobile device management solutions for education. Feel free to ask us any questions or request a free consultation here. We are always happy to help! Good luck!